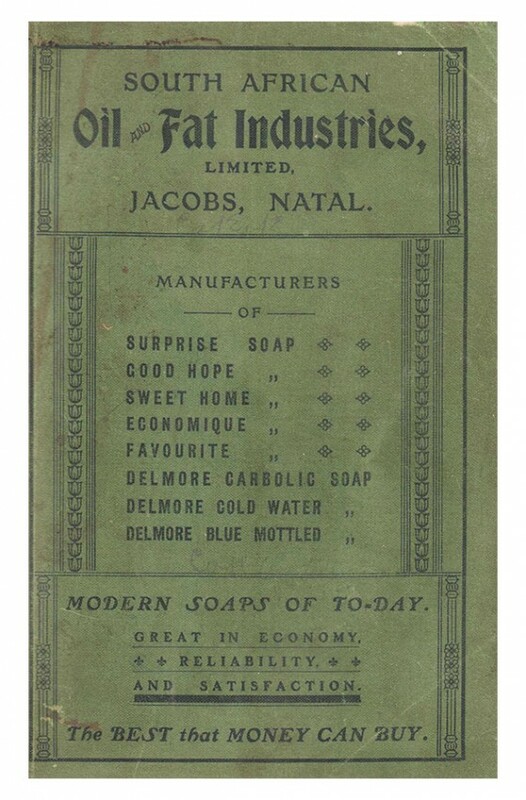 [xxiii pages - advertisements] + 497 pages - the complete directory, + [xxxii pages - advertisements], watermarks on the preliminary pages, light foxing throughout, arithmetical annotations in pen and pencil on several pages, green card covers - paperback, the corners have been reinforced, the title has been printed on the spine – there is no title page, a good copy . 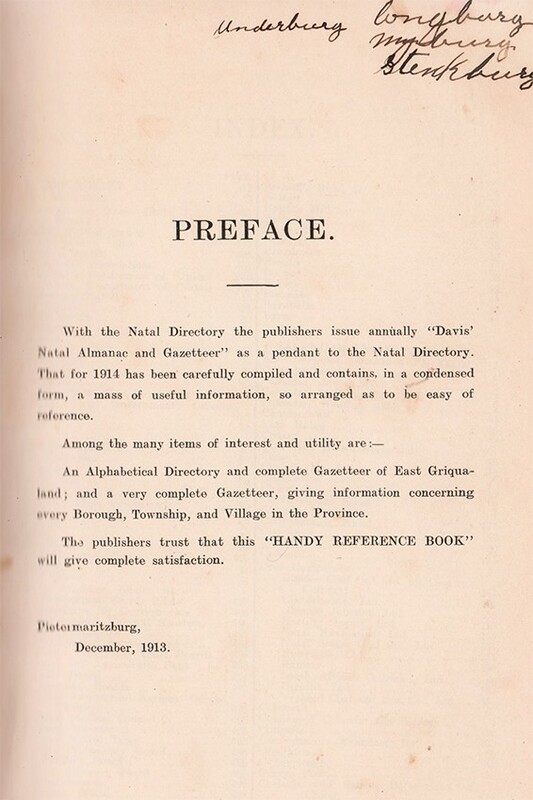 From the preface: With the Natal Directory the publishers issue annually "Davis' Natal Almanac and Gazetteer" as a pendant to the Natal Directory. That for 1914 has been carefully compiled and contains in a condensed form a mass of useful information, so arranged as to be easy of reference. Among the many items of interest and utility are: An alphabetical Directory and complete gazetteer of East Griqualand; and a very complete gazetteer, giving information concerning every borough, township and village in the province.